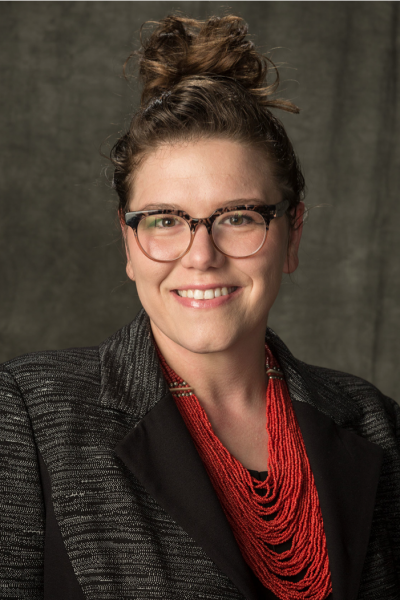 Destined for Public Service Balen Essak '20 interviews Maisie Osteen '14L about her experiences with the Shepherd Program and as an assistant public defender. Balen Essak ’20, a poverty minor and economics major from Wisconsin, has a demonstrated interest in the criminal justice system. 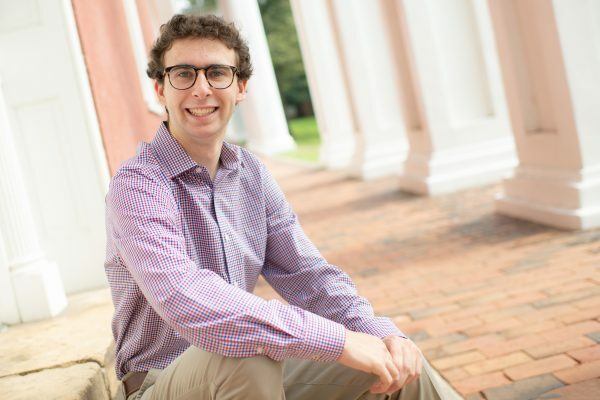 He has spent the last two summers exploring different aspects of the justice system and hopes to attend law school after he graduates from W&L. His ultimate goal is to become a public defender. Balen got in touch with Maisie Osteen ‘14L, an assistant public defender in Richland County, South Carolina, and asked her a few questions about her career. Essak: When did you first think that you wanted to go into public service work? Osteen: I think I have always wanted to be in public service. I mean, I am the daughter of public service-oriented parents—I grew up with service and community-building as very valued aspects of life. When I was trying to determine my career path I narrowed it down to three areas: law enforcement, teaching and the law. I knew whichever path I chose would be in the public interest sector. When did you first think that you wanted to go into public defense specifically? Prior to law school I worked at the Legal Aid Justice Center and a small boutique law firm in Charlottesville, Virginia. These two jobs were a great foundation for my legal career because they showed me how much I valued public service and my affinity for criminal law. When I went to law school I thought that I would focus on international human rights. After my first summer placement, through the Shepherd Program, I decided that there was enough work to be done in my own backyard and set my focus on public defense. I took three years off after I graduated from undergrad. When I graduated I wasn’t sure what I wanted to do. I worked a few different jobs, I traveled, I talked to people about their careers and about different options, and I determined that a career as a lawyer would probably fit me the best. It sounded like there was a nice balance between fighting, academic rigor and ability to make systemic change—on some days there is! How did your time at W&L affect your decision to go into public service work? I would like to think that I would have ended up a public defender no matter what school I went to, but I don’t know if that is true. I was so fortunate to be able to work with some of the best and most accomplished criminal defense lawyers in the country at W&L. Almost all of these professors had some connection to indigent defense or indigent services of some sort. In addition, my relationship with the Shepherd Program gave me space to really focus on the academic study of poverty and human capability and to pair that with what I was seeing in the field. My relationship with Shepherd started my first law school summer. I was a Shepherd fellow at the Georgia Justice Project. 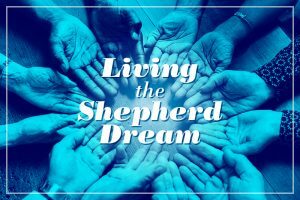 After my summer and the closing symposium in Arkansas, I took two classes in the Shepherd Program, as well. Did W&L prepare you well for public service work? I think the W&L School of Law, like most law schools, is generally geared to those students who want to have careers in big law or in private practice. Fortunately, W&L has a very practical take on legal education. Between the practicums, the seminars and, most importantly for me, the clinics, W&L afforded a great foundation for my practice. And, as I said before, the professors I had at W&L were not only incredible teachers and mentors but now they are colleagues and friends. These folks are still people I call on for professional and personal guidance. Was being a public defender your first job out of law school? Yes. It is the only job for me. What do you think is the biggest problem facing our criminal justice system today? There are absolutely two justice systems, a system for the poor and a system for the wealthy. In some ways this idea runs against the mission of the public defender. We are working really hard and we want our clients to have the exact same “odds” or shake at justice, but the reality is that is not the case—yet. If you are wealthy you are given benefits at every impasse. You’re less likely to be arrested, more likely to get out on bond, less likely to be found guilty, and likely to receive a lighter sentence if found guilty. It is just two different systems. The acceptance of injustice. Injustice has just become the status quo. You get people who are a part of the “system” and can be so totally unfazed by violations of other people’s rights. Unbalanced resources is a common woe of the public defender. We are told that our country values the principles of “innocent until proven guilty” or that “everyone deserves their day in court,” but ultimately, we don’t give our defense lawyers enough resources to give these maxims any real teeth. What can the average person do to help improve our criminal justice system? Keep your eyes and ears open. Courthouses are open to the public and citizens should feel empowered to head down to their local courthouse to watch proceedings. We are all seeing the images and videos of police shootings and, while police brutality is horrific and we need major reform in that area, there are daily injustices carried out in courtrooms across America that we aren’t talking about. We need to be talking about these injustices too. Interested in meeting Maisie? She’ll be on campus in October for the Social Impact Summit. Learn more and register here.